Plus, many, many other uses. Robert asks: Is this deck bridge or poker size? 1. AmazeKids responds: It's in poker size. 2. AmazeKids responds: Poker side. 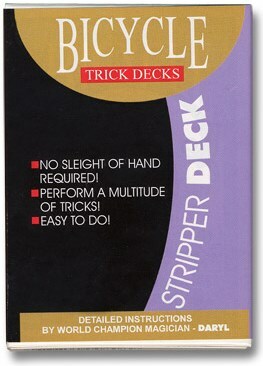 All our gimmicked decks are poker size, unless otherwise stated. 1. AmazeKids responds: The deck is cut lengthwise.